The post is located in the Registry, Human Resources Section of the International Residual Mechanism for Criminal Tribunals (IRMCT), Arusha Tanzania Branch. The incumbent will work under the direct supervision of the Chief, Human Resources Section based in The Hague, Netherlands. Serves as the senior Human Resources Officer for the Arusha and Kigali branches of the IRMCT. In coordination with the Chief, Human Resources Section provides advice on interpretation and application of policies, regulations and rules. Reviews and provides advice on exceptions to policies, regulation and rules. Serves as Umoja focal point on Arusha and Kigali HR matters. Provides advice and support to staff and managers on human resources related matters. Prepares ad hoc reports and participates in and/or leads human resources projects. Keeps abreast of developments and changes in UN rules and regulations, governance documents (i. e ST/SGB, ST/AI, ST/IC) and other areas of UN human resources. Conducts and coordinates salary surveys assessing the labor market at Headquarters and in the field and establishes salaries and related allowances of locally-recruited staff. Assists in preparing policy papers, position papers and briefing notes on issues related to examinations and tests. Provides advice on interpretation and application of policies, regulations and rules. Reviews and provides advice on exceptions to policies, regulation and rules. In consultation with Hague-based Human Resources Section determines and recommends benefits and entitlements for staff on the basis of contractual status. Reviews policies and procedures and recommends changes as required. Reviews and recommends level of remuneration for consultants. Identifies upcoming vacancies in coordination with client offices. In consultation with the Hague-based Human Resources Section prepares vacancy announcements, reviews applications, and provides a short-list to those offices. Schedules and conducts interviews to select candidates. Reviews recommendation on the selection of candidate by client offices. Serves as ex-officio during interviews, appointment and promotion bodies, examinations boards, and prepares and presents cases to these bodies. Monitors and evaluates recruitment and placement related activities of client offices, and recommends changes or corrections related to procedures to these offices. 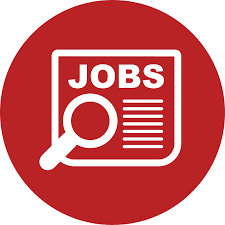 Supervises and monitors the work of the Arusha-based Human Resources Assistants in carrying out all human resources administrative transactions including preparation of personnel actions, maintenance of staffing tables, and processing of contracts. Coordinates and administers the YPPExamination, Language Proficiency Examination (LPE), Global General Services Test (GGST) and other programmes and tests related to recruitment of professional, general service and other categories of staff. Identifies and analyzes staff development and career support needs and designs programmes to meet identified needs. Prepares monitoring reports on staff development and career support programmes. Designs and manages sabbatical/external assistance schemes. Assesses training needs, identifies, designs and delivers training programmes to staff at all levels throughout the Organization. Professionalism – Knowledge of human resources policies and procedures and ability to apply them in an organizational setting. Shows pride in work and in achievements; demonstrates professional competence and mastery of subject matter; is conscientious and efficient in meeting commitments, observing deadlines and achieving results; is motivated by professional rather than personal concerns; shows persistence when faced with difficult problems; remains calm in stressful situations. Communication – Speaks and writes clearly and effectively; listens to others, correctly interprets messages from others and responds appropriately; asks questions to clarify, and exhibits interest in having two way communication; tailors language, tone, style and format to match the audience; demonstrates openness in sharing information and keeping people informed. Leadership – Serves as a role model that other people want to follow; empowers others to translate vision into results; is proactive in developing strategies to accomplish objectives; establishes and maintains relationships with a broad range of people to understand needs and gain support; anticipates and resolves conflicts by pursuing mutually agreeable solutions; drives for change and improvement; does not accept the status quo; shows the courage to take unpopular stands. Provides leadership and takes responsibility for incorporating gender perspectives and ensuring the equal participation of women and men in all areas of work; demonstrates knowledge of strategies and commitment to the goal of gender balance in staffing. Building Trust – provides an environment in which others can talk and act without fear of repercussion; manages in a deliberate and predictable way; operates with transparency; has no hidden agenda; places confidence in colleagues, staff members and clients; gives proper credit to others; follows through on agreed upon actions; treats sensitive or confidential information appropriately. Advanced university degree in Human Resource Management, Public or Business Administration, or related ares such as Education and Social Science. A first level university degree in combination with two additional years of qualifying experience may be accepted in lieu of an advanced university degree. Minimum of 5 years of progressively responsible experience in human resources management, administration or related area at the international level. Extensive knowledge of and experience using Umoja, as a Human Resources Partner, or familiarity with a similar Enterprise Resource Planning System (ERP) is required. English and French are the working languages of the Mechanism. For the post advertised, fluency in oral and written English is required. Knowledge of a second official UN language is an advantage.